J. Troy Smith, Jr. 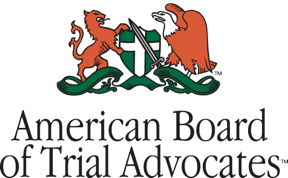 Tapped for Judicial Nominating Committee - Ward and Smith, P.A. J. Troy Smith, Jr. has been named to a new state review panel to screen judicial nominees. Governor Beverly Perdue announced Mr. Smith's appointment this week along with 17 other members to sit on the Judicial Nominating Commission she established by executive order to assist in filling judicial vacancies. The commission will review applications as vacancies occur on the Supreme Court, the Court of Appeals, or Superior Court. Members select three nominees to fill the vacancy and the governor appoints one of those nominees. Mr. Smith said he has supported Perdue in the past and had said he would never take another appointment, but "I can't really turn this one down. I have been one of the most publicly vocal lawyers about what I deem to be the state of the judiciary in the state of North Carolina." "I appreciate the opportunity to do what I can to improve the situation," he said, a graduate of the University of North Carolina at Chapel Hill, where he received his law degree with highest honors and was editor in chief of the North Carolina Law Review. "That's what this is all about. It doesn't have anything to do with party, and not withstanding, with diversity," he said. "It only has to do with the bottom-line questions that everybody on this commission will need to answer because, with the growing number of laws in this state and country, they may find themselves in front of one of them." A past member of the N.C. Bar Board of Directors, Mr. Smith has chaired the association's Committee on Ethics, Committee on Recodification of the General Statutes, and the Real Property Committee. He is a past president of the Craven County Bar Association and former director of the U.N.C. Law Alumni Association. Copyright © 2012, Freedom Communications, Inc.